Orthodontics works for all age groups, though the aims of treatment can change with age. This is called age appropriate orthodontics and will modify the treatment plan suggested. It is never too late to explore the option of cosmetic dentistry and to have the smile you deserve. However, Orthodontics can benefit adults not only by improving their smile but also helping periodontal problems, improving the ability of dentists to restore your dentition, improving function and oral health, and like teenagers – adults benefit from improved self esteem and self confidence on completion. We understand that all of our patients have differing treatment preferences and adults often appreciate as quick and efficient an orthodontic treatment plan as possible. 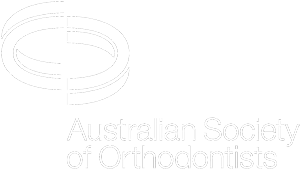 Symmetry Orthodontics is an accredited Invisalign provider on the Sunshine Coast, offering you the option of transparent aligners which provide a practically invisible option to braces. Invisalign enables you to straighten your teeth without anyone even knowing! Ask your dentist for a referral or ring us direct for an orthodontic consultation and peace of mind.